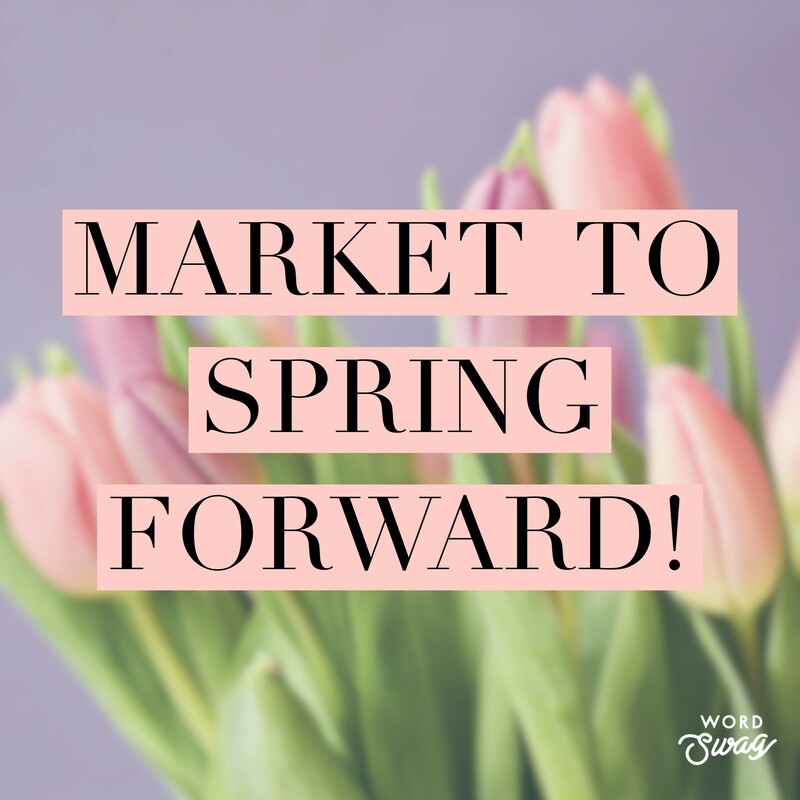 Housing Market to Spring forward! Buyer demand has seasonality to it. Usually, this falls off in the winter months, especially in areas of the country impacted by arctic conditions, although that has not been the case this year! Bottom Line: If you are planning on selling your home in 2019, contact me and we can evaluate the opportunities in your market. There is just something special about Easter chocolate. It doesn’t even matter if you can buy chocolate year round. There is just something special about Easter chocolate. Maybe that’s why so many East-siders are so loyal to the idea of community egg hunts. The tradition of hiding and seeking eggs goes back thousands of years. In many cultures, the egg represents new life, making it the poster-child for Easter and the resurrection of Jesus Christ. For many of us, memories of hunting hidden eggs and acquiring hidden candy, toys, or even money brings back all kinds of fond memories. It’s so much nostalgia! Here’s where to find the best egg hunts around the Eastside in 2019. Held every year at Peter Kirk Park, this event is a favorite for so many people in Western Washington. The city will scatter eggs inside of the baseball diamond before releasing the kids like a pack of hungry wolves. There really is no “hunt” involved, and every year I am terrified that some child will be mobbed and trampled to death, but so far that hasn’t happened. All anxiety aside, this is a fun event where you’re almost certain to run into a neighbor. Just make sure you get downtown early to find a parking spot. 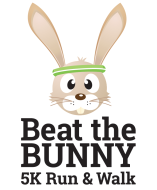 Pair a 5k with a traditional egg hunt and come out with something for everyone in the family! This event places eggs along the 5K route, which really motivates runners to hustle! Get this- the eggs are prize based. Some eggs will add minutes to your run time. Other eggs take time off your total. The catch? You’ll never know what is inside the egg until you’re done running and gathering. So, is it worth it to collect a lot of eggs? That’s up to you! 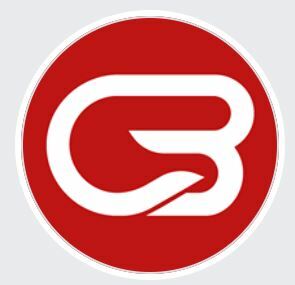 While there is a fee for participation for the grown-ups, kids can dash for free and without prior registration. I just love the idea of this one! The folks over at Fox Hollow in Issaquah blend an old-fashioned farm experience with thousands of hidden eggs just waiting to be found! Kiddos can fill their baskets while petting baby animals, playing in the corn bin, and meeting the Easter Bunny himself! If your kiddo finds the 1 (out of thousands) of Golden Eggs hidden at the farm, we’re told you’re in for a “big” surprise. You must pre-reserve a spot to attend this event, and prices range from $10 per person to $50 per carload. RTC seems to always have something exciting going on, don’t they? Their annual egg hunt is pretty great, too. Hosted by the Kiwanis Club, the event will be held on April 20 and kicks off at noon. The event features an egg scavenger hunt as well as prizes for the first 2,000 kids under 12. There will also be inflatables, trampolines, arts and crafts, face painting, and all sorts of other fun things to do. Every year Bellevue College puts this event on as an annual community affair. It’s free and open to children 10 and under, and one of my favorite events in Bellevue. With more than 50,000 eggs, you can also expect face painting and inflatables. Even better yet? You can pre-reserve things so that you’re able to skip the long lines on the day of. Now THAT is nice! What better way to play around than in a comfortable, safe kid’s museum? This annual event does have a cover charge, but once you’re in the door you can expect games, crafts, and of course a good old fashioned egg hunt. Children must be accompanied by a paying adult. 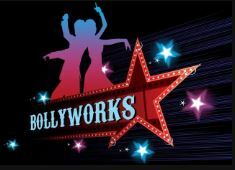 Watch the website for sales times on tickets! There are so many egg hunts out there that AREN’T on the Eastside, and I wanted to share those with you as well. Everything from a flashlight hunt for teens to egg hunting with animals at Woodland Park Zoo, it’s all right here. Sounds pretty fishy: The French call April 1 “Poisson d’Avril,” or “April Fish.” French children sometimes tape a picture of a fish on the back of their schoolmates, crying “Poisson d’Avril” when the prank is discovered. someone look for things that don’t exist, playing pranks and trying to get people to believe ridiculous things. Speaking of ridiculous: In the 1960s there was only one TV channel in Sweden, which broadcast in black and white. As an April Fools’ joke, it was announced that viewers could convert their sets to display color. They simply needed to pull a nylon stocking over the screen. 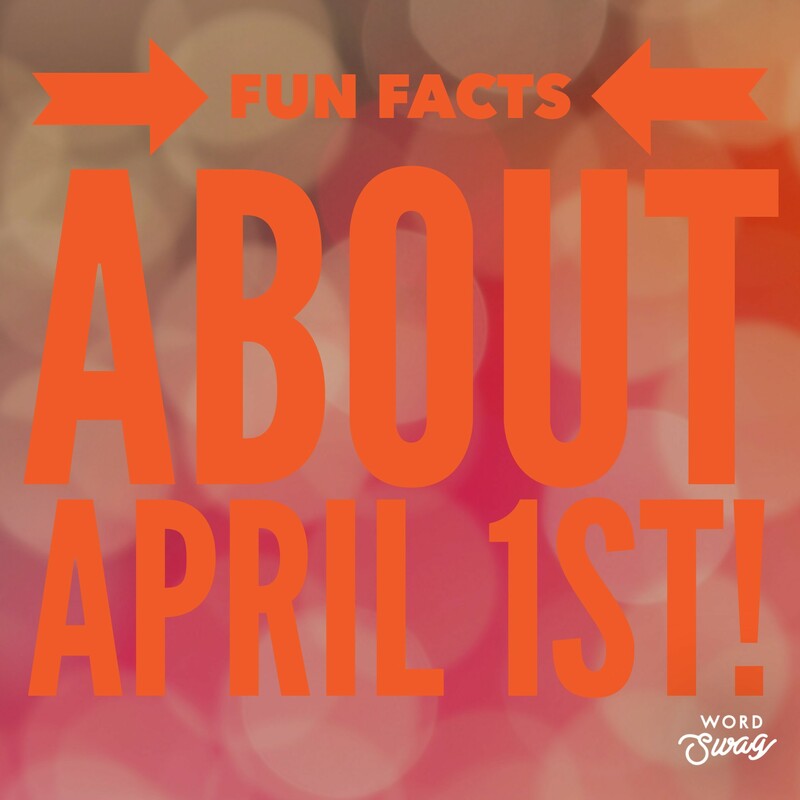 Other names for April Fools’ Day around the world: April Noddy Day, Gowkie Day, Huntigowk Day and St. All-Fools Morn. Are you ready for a green beer? St. Patrick’s day is always such a fun day. Kiddos enjoy setting leprechaun traps in the day time, and parents enjoy a night out after the kids go to bed! It’s not all alcohol-infused parties, though. Many communities are working hard to develop more family-friendly and healthy events for the major American holiday. For now, though, here are my favorite hot-spots for dining and drinking this March 17th. Eat, Drink & Be Irish! Right in downtown Bellevue, this Irish pub is the perfect place to grab some food and a beer before heading out on the town. With so many hotels within walking distance, it’s the perfect place to enjoy the holiday responsibly. With regularly scheduled live music three nights per week, you can believe that St. Patrick’s day will be a lively event at this local eatery. This place is super unique, as it blends Celtic and Cajun food for a totally exciting experience. Right on the Kirkland waterfront- this one is always busy. On St. Pat’s though, things get really intense! Expect live music, drink specials, and a lively crowd. No shortage of runs scheduled for St. Patrick’s Day 2019, either! On the Eastside, my pick would be the Kirkland Shamrock Run. If you’re up for a trip across the lake- don’t forget that Seattle puts on one heck of a parade. Complete with bagpipers and Irish dancing and music. It’s sure to entertain the entire family! There is also an Irish festival and 5K at Seattle Center. Anyone on a diet can tell you that one of the biggest struggles of dieting is dining out. Portions are huge, flavors of magnetic, and dessert is always on the menu. But dining out doesn’t have to sabotage your success. Here are a few big name restaurants with surprisingly healthy (and amazingly delicious) menu items that will keep you on track and happy about it! Did you know that a single burger on the Red Robin menu can cost you up to 1,200 calories? That’s right, a whole day’s worth of calories for a typical female dieter… and that’s before we even talk about the fries. So it might be a bit surprising to see it topping my list. But hear me out!!! Skip the burger and opt for the Ensenada Chicken Platter. Double up on the meat, trust me you’ll want it. 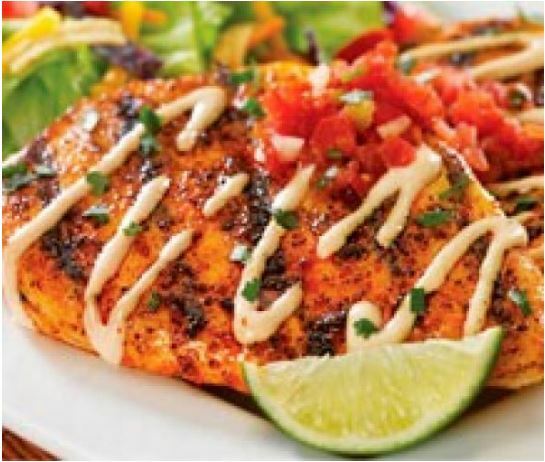 This is a south of the border inspired dish focusing on getting flavor from calorie-free spices instead of sauces. Since there is no bun the carbs are naturally low, though you can get them even lower if you ask for no chips. The Baja ranch dressing that compliments your (bottomless) side salad is amazing, too. All of this, for under 500 calories. I know, I know… it’s delicious and that means that it can’t be healthy. Right? Turns out you’re wrong. 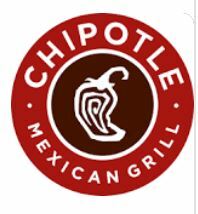 A chipotle bowl (not the burrito) is actually a well-balanced meal that keeps your intake on point and your family happy about dinner. There are a few tips to getting the most nutrition bang for your buck, though. First up- try for chicken instead of beef. And make it double the protein. Load up on the fajita veggies too, and skip the rice. If that’s asking too much, just ask them to go light on the rice. I love adding black beans in place of rice. It’s still a carb, but the high fiber offsets the carb count for those tracking net carbs. If you don’t trust me by now, this one will win you over. The answer is yes, you can stay on a diet when you eat at a place dedicated to decadent desserts. You can even HAVE dessert. Here’s how. 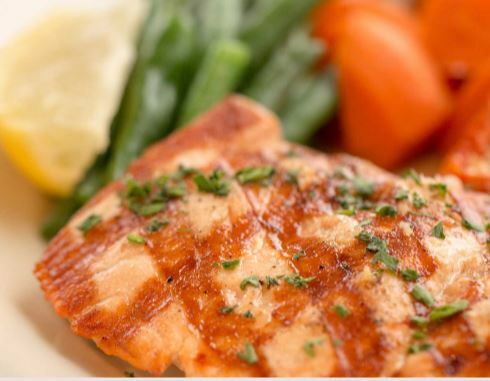 Start by ordering the “Skinny-Licious” grilled salmon. (I don’t name the dishes people, I just endorse them. )You’re getting a heap of protein and Omegas without the fat of beef. And hey- it’s not chicken! Compliment the fish with green veggies to get some fiber in while keeping your carbs low. Ask for no butter in the preparation, or butter on the side to manage fat. All of this clears the way for dessert. Stick with regular plain cheesecake (no Oreo cheesecake allowed!) for a dessert with a decent amount of protein that is still satisfying! Yum! Finally, if nothing on my list gets you excited to dine out on a diet, head to Applebees. Here you can actually have a steak and stay under 500 calories! That’s because the restaurant created an entire menu of items offered under 500 calories. They did it back when they were partnered with Weight Watchers. And, while that partnership may not have worked out the way that they had hoped, the end result was a delicious menu well suited to dieters with a lot of options to choose from. Now that I’ve totally blown your mind, grab your purse. It’s time for dinner on the town! Join me next week when we take a tour of yoga studios around the Eastside! Part of the joy of the holiday season is exploring holiday lights with the kids. They’re bright and festive, and just inspire imagination and awe. Especially in young children, going hunting for lights is a time-honored holiday tradition. 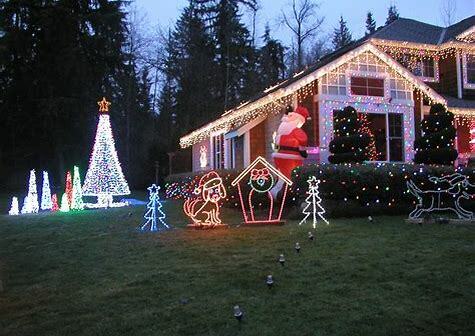 Unfortunately, more and more people are not decorating their homes with lights. But that doesn’t mean that there aren’t still great light displays out there to be found and enjoyed. 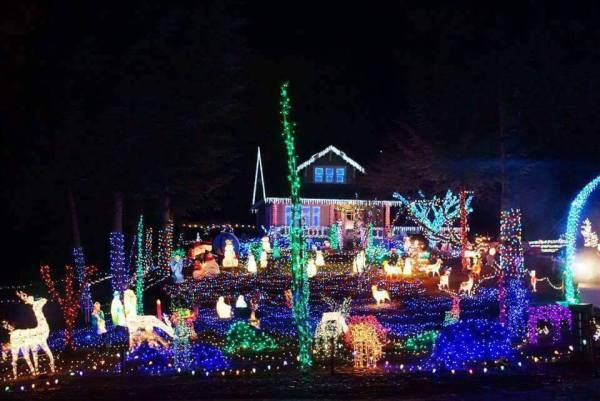 Here are a few of my favorite holiday lights hot spots. A family oriented display awaits you in Woodinville! Here you’ll find a full acre display of lights set to music and light animations. The display is free to visit, but cash donations are appreciated. The donations benefit a variety of charities. To get the most out of the experience, tune your radio to 101.9 FM. 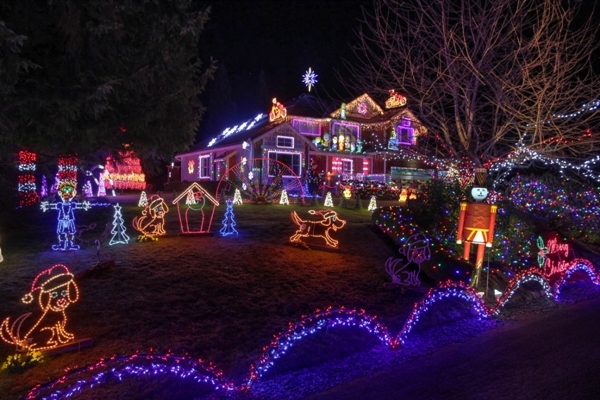 Another home with a ton of lights can be found in Bothell. Keener Christmas is a drive-through experience with no foot traffic allowed. You’ll find more than half a million lights as well as animations and inflatables. This family favorite home has been featured in many newscasts about the best-decorated homes in Western Washington. From time to time you’ll even find Santa on site handing out candy canes! If you’re so moved, you can also donate food to charity at the site! Get lost as you wander through the fields of flower-themed lights at Bellevue’s annual Garden d’Lites festival. Now in its 24th year, the tradition of nature-themed light shows is a must for many people during the holiday season. You’ll also find a running river made of lights. The Gardens set up a scavenger hunt among the lights to keep young people excited, and there is always espresso and hot cocoa on site, too. There is a small admission fee, but there are also free nights every season as well. Check the website before heading out so that you can plan! Remember – kids ten and under are free! For something just a little different, head out to Issaquah and the Cougar Mountain Zoo! Here you’ll find a full Christmas themed park, culminating with live reindeer! The 31st annual Reindeer festival keeps limited hours, open only until 4:30 pm, but is nothing short of pure wonder for your children. 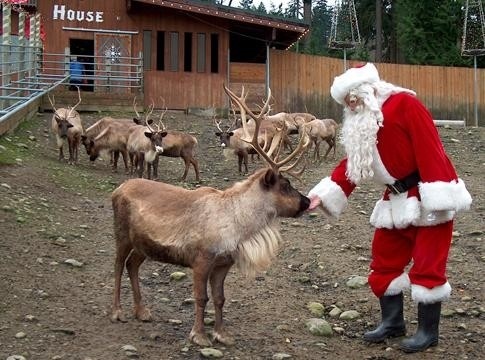 Since the reindeer are on site, of course, you can expect to see Santa! You can also hear a story from an elf during your visit! For more homes with amazing lights, check out this interactive map! If you’re up for a drive, there are plenty of lights in Seattle, too. 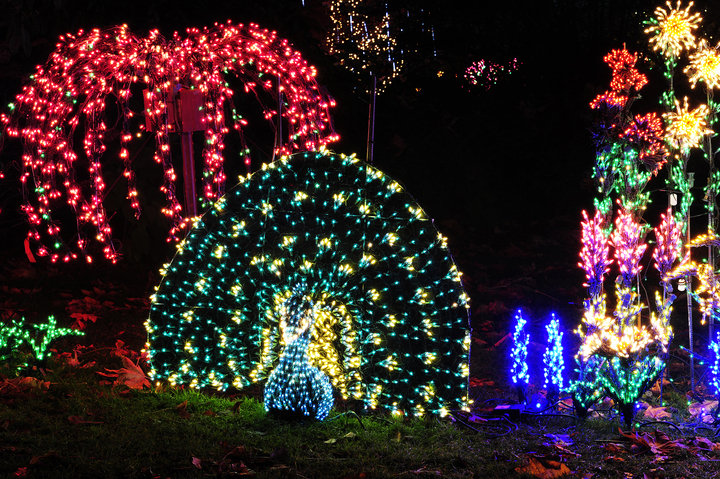 You can visit the Woodland Park Zoo for their annual Wild Lights show, or check out the Candy Cane Lane neighborhood! Whatever you do, be sure to take lots of photos and share them with me! And, if you know of a hot spot that I’ve missed, I really want to hear about it! 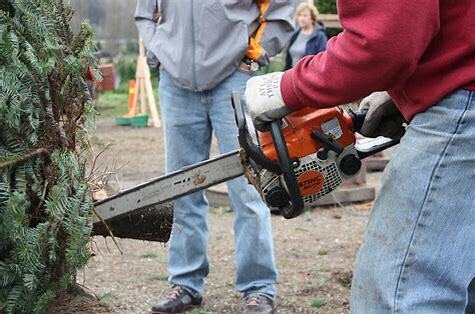 If you haven’t gotten your tree already — and you are feeling adventurous — here are some places you can cut your own tree down. Close to home even! We live in the Christmas tree capital of the United States, it’s easy to see why so many people enjoy cutting their own tree. But, given the traffic situation in the Seattle & Eastside areas, it’s also easy to understand why you might want to cut a tree close to home. While there may not be any Christmas tree farms in Seattle, Kirkland or Bellevue, you can find a couple in Redmond and a few more just outside of the central Eastside. Now go find your perfect tree! Open daily from 10 am to 8 pm, McMurtrey’s makes it simple to plan a tree cutting trip with your family. Found in the heart of the Sammamish Valley, you’ll find Noble, Grand, and Fraser Firs on the property. Extra tall trees are on site, and delivery is even an option, in case you don’t have a large enough vehicle to tow the tree back to your home. The farm is dedicated to sustainable harvesting, meaning that once a certain number of trees have been cut they’ll close the season. So get out there early! Once you’ve found the perfect tree, the farm treats you with complimentary hot cider or hot chocolate. Offering 100% organ ic trees as well as home delivery service, Buttonwood Farm is another close-by option for creating a family tradition of cutting your own tree. Here you’ll find Douglas, Turkish, Nordman, Noble, Grand, Fraser, and Blue Spruce trees. The site also offers sturdy stands. The farm has limited hours, however. If this is where you want to cut, be sure to visit on the weekends. Buttonwood is open Friday and Sunday from noon until 4 pm, and on Saturdays from 10am-4pm. You should check out their website before heading out to find tips for tree care as well as fun seasonal recipes. 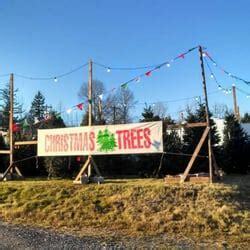 Open from the day after Thanksgiving until trees sell out, the Carnation tree farm has been offering trees for over 30 years. The farm has been in the family since 1901 and is listed on the National Register of Historic Places. That means you’ll be taking a step back in time as you step into the f orest to play your part in this time-honored family tradition. Across 16 acres you’ll find Douglas, Fraser, Grand, Noble, and Nordman Firs as well as Norway and Blue Spruce. In addition to cutting your own tree, you can pick up handmade local greens, garland, swags, mistletoe, and holly. 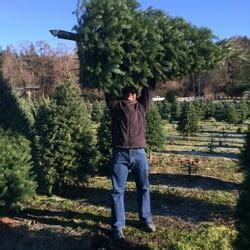 Employees will let you borrow a saw and even help you select your perfect tree. With a focus on family fun, expect to spend some time in the shelter area where you can have complimentary cider, shop a fresh bake sale, or even have your photo taken with Santa. The shop is open Sunday- Thursday from 9 am until 4 pm. Where did you get your tree this year!